The SoCal seminar was a hit! Don't miss out on this year's program as we've added more audience interaction and prize give-a-ways. "All speakers were informative and kept audience involved." "Liked learning about new technology." "Nice ending discussion on litigation & liability." "Thoroughly enjoyed seminar and will return to work with great information to help me improve my career." Earn 4 Professional Development Hours (PDH) or CEU credits without losing time at the office. The Saturday morning course includes a full breakfast and practical training and skill development for technical and field personnel. Only held once-a-year and not to be missed! Anyone interested in brushing up on their safety, liability, and knowledge of new technology. This presentation will focus on the quality control aspects of rammed aggregate piers. Theory and application will be discussed for context. 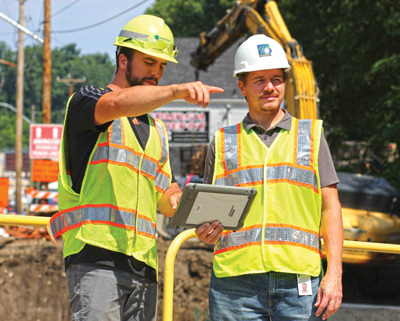 Pre-Task Planning is the process of examining all hazards prior to starting work. These usually start with a Job Hazard Analysis or Job Safety Analysis or Tool Box Talk, I apply the common sense approach so that everyone is a participant in the review and is encouraged to say something if they see something. It centers around active listening and situational awareness. Everyone brings something to the table and shares. Seminar includes: full breakfast (extra bacon will be available!) and parking at the hotel. Thank you to our generous sponsor Hayward Baker! We are bringing out Keith Porter from the University of Colorado at Boulder so you can hear about the HayWired scenario from the lead engineer himself. Don't miss this opportunity! This scenario is being used to help businesses and individuals prepare for a large metropolitan earthquake and to outsmart disaster. Monday Feb. 11, 2019: SoCal Meeting, Kellogg Conference Center, Cal Poly Pomona - DEADLINE TO REGISTER IS FEB. 4th!! Any projects competed and constructed within 5-years of 2018 (so from 2013-2018) will be considered. Any Commercial, Industrial, Institutional, Infrastructure, Residential, Shoreline Protection, or Academic/Research project. Step 1: Complete our online form with your contact info and the name of the project. Don't wait, do it now! Step 2: Pay the submittal fee, $100 for member firms, $300 for non-member firms. Step 3: Grab the final project report and a quick paragraph summarizing the project (100-150 words). E-mail it to Kelly Cabal or request a Dropbox link for uploading. You can also submit a longer (2000 word) article showing off your work or just rely on the report and summary. Easy! You're done. Sit back and receive the applause - and possibly an award at our Annual Conference. The 2019 CalGeo Annual Conference will be held April 10-12, 2019 at the Kona Kai Resort on Shelter Island, San Diego, CA. The Outstanding Project Awards luncheon will take place the final afternoon, Friday April 12, 2019. The deadline for Outstanding Project Award Entries is extended to February 18, 2019. A fee of $100/members and $300/non-members is required for each entry. Firms/individuals may submit multiple entries but will only be awarded a maximum of one award. *Please note: Our application form & fee payment is available online at the link above. You may still submit a paper copy application if you wish with a check payment by downloading the PDF (Submission requirements). 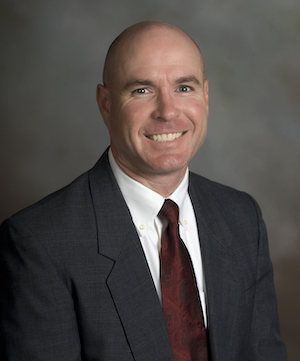 CalGeo is excited to host Dr. Russell Green as a speaker and panel member at this year's Annual Conference in San Diego on Thursday & Friday mornings April 11 & 12. On Thursday morning Dr. Green will fill us in on his findings researching the 2010-2011 Canterbury, New Zealand, Earthquake Sequence. This will focus on "Lessons Learned about Liquefaction and Related Phenomena." On Friday morning Dr. Green will join Dr. Jason DeJong from UC Davis and Dr. Marshall Lew of Wood plc to evaluate data from a California site and provide his recommendations. This case report will be followed by a panel discussion lead by Dr. Peter K. Robertson and the above panel members discussing questions raised by CalGeo members on state-of-the-practice and other related geotechnical recommendations. Don't miss CalGeo's General Membership Meeting Thursday April 11 at 8:30am where round table discussions on potential questions or issues to pose to our panel will occur. CalGeo will also be collecting final ballots and votes for board vacancies. CalGeo's programs committee has worked tirelessly to bring this expert panel together and hope you will give some thought to the questions you are interested in having them address. If you have any suggestions ahead of time, please e-mail Kelly Cabal. Save $100 and register by Feb. 10th! 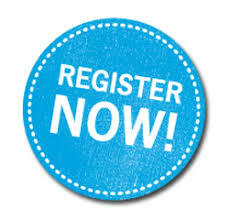 Don't miss the early registration deadline of February 10th. Register for CalGeo's conference today - member price of $900 won't last long. Single day registrations available for $450. Join us for some excellent key-note speakers, topics you NEED to know about, good food and great people. 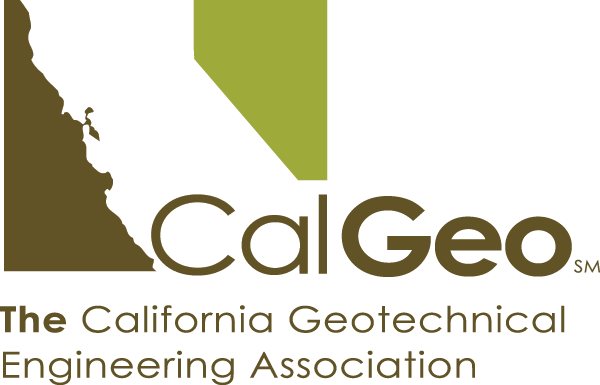 Find out why CalGeo's conference is the most FUN, INTERESTING and POPULAR event in the geotechnical community. We're popular: The Emerging Professionals are coming in hot! CalGeo's EP group in Sacramento had a great Holiday Party to finish off 2018 and are bringing their A-game to 2019 already. The January 16th meeting featuring Jennifer Thornburg from California Geological Survey presenting on reporting requirements to meet CGS Note 48 on schools and hospitals, had a record 31 attendees and almost as many tuning in on-line to the live web-cast! We will continue the web-casts and make recordings available along with presentation slides to members through our Members Club page. If you haven't been there - check it out! We are starting a library of all our webinars and past-presentations. If you believe your company is a CalGeo member and you don't have a login, just e-mail us and we'll hook you up! Side note: Sometimes presenters request to not have their presentation recorded for personal reasons or privacy of their clients. We will supply recorded versions when available but watch live to guarantee access. Join us on February 20, 2019 for the February Emerging Professional meeting. Meeting will start at 6:30pm with an informal dinner followed by the presentation at 7:00pm. Cost: $20 Emerging Professionals and other CalGeo members, students are free! Bring an EP to our Conference and Save $250! To encourage more companies to send younger emerging professionals to events that will increase their technical and overall industry knowledge, we are introducing a new program for our conference in 2019. Register one attendee at full price and bring an EP to save $250! Here's how it works: Register at least one attendee from your company at full price ($900 until Feb. 10th) and you can bring an emerging professional (EP) from your company for only $650 - you SAVE $250 off their registration! And you invest in the future of your firm by showing commitment to their personal growth and leadership training. Step 2: Select "Register Linked Profile" or "Register Guest" to add an additional registrant. Step 3: Select "Add an EP" in the registration field. Download our Conference Brochure to get all the details on topics and speakers! Keep your eyes on your mail as we'll be sending out conference flyers and postcards shortly. Please distribute these around your office to make sure everyone is "in the know". Great hotel and location - make it a getaway! 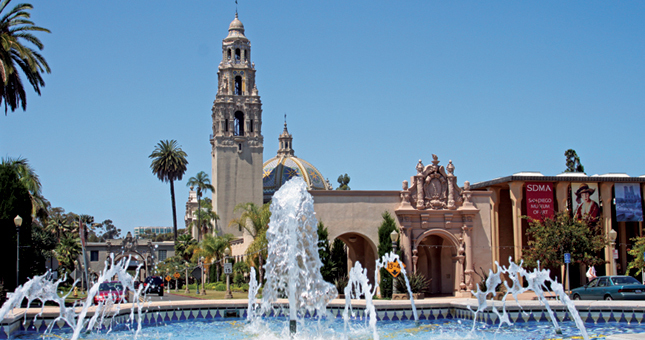 No more Saturday sessions lets you enjoy San Diego for the weekend. Everything's included: 2 Breakfasts, 2 Lunches, 2 Reception style dinners and 1 Banquet dinner. We don't nickle and dime you for tickets to everything. We're growing: Out membership is growing and so is attendance at our events. Quality key-note speakers: We are bringing in knowledgeable speakers to cover the topics California's Geotechnical Engineers want. All speakers get an hour to dive deeper into their topic. 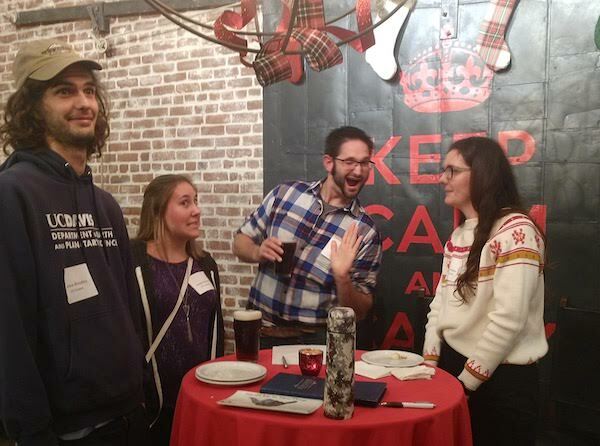 Mix and mingle: Enjoy great food and drinks and network with suppliers, peers and students. Groom your new hires from our talented student chapter attendees. Plus we're a fun group! Short courses: Send some staff members to the short courses April 9th and 10th to invest in their knowledge and training. Or attend them yourself and make the trip worth your time and money. Limited space: THESE WILL SELL OUT! Don't forget to submit your project for our Outstanding Project Awards and get recognized by your peers - not to mention a cool award to display in your office. February 10, 2019: Early-bird registration deadline - savings on short courses and registration! 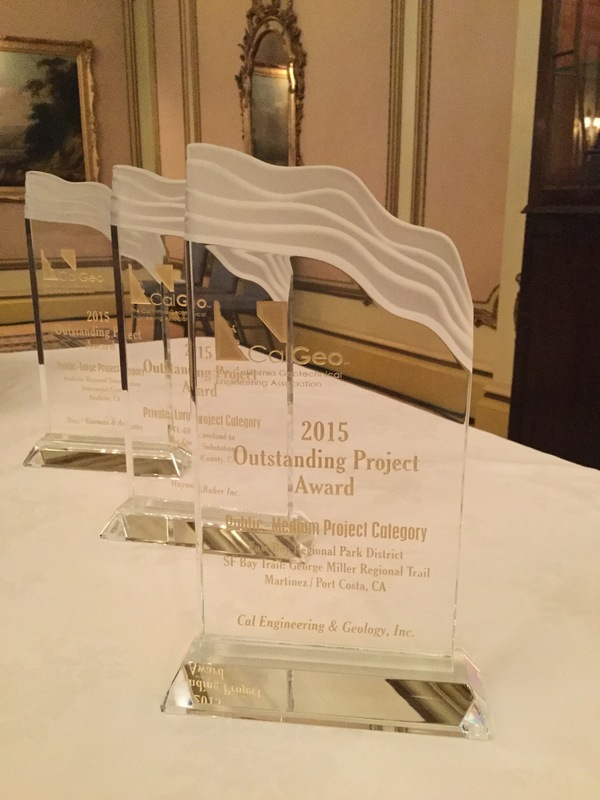 February 20, 2019: EXTENDED Deadline to submit application for our Outstanding Project Award. March 18, 2018: Deadline to book your hotel room at the Kona Kai Resort. Late registration fees for conference go into effect. Download our Conference Brochure to get all the details on topics and speakers! GEI Consultants, Inc. (GEI), one of North America’s leading engineering and science consulting firms announced today that Savanta, Inc. (Savanta), an Ontario-based environmental and ecological services firm has joined the company. The merger of the two firms will strengthen GEI’s operations in the Ontario market by bringing significant strength in the environmental and ecological sectors to GEI. The new combined operations will provide the opportunity to serve new and existing clients in the rapidly growing Ontario market. TenCate Geosynthetics is the world’s leading provider of geosynthetics and industrial fabrics. TenCate Geosynthetics, headquartered in Pendergrass, Georgia, United States, has a global production platform, commercial and technical organization and has successfully consolidated and developed core markets to maximize value for customers. TenCate Geosynthetics serves the market globally with two commercial divisions - TenCate Geosynthetics and TenCate Industrial Fabrics. Through the processing of synthetic raw materials, we develop, manufacture, and provide innovative and reliable industrial technical textiles that enhance the performance of our customers’ products. GEO-Instruments provides automated instrumentation for monitoring the safety and stability of buildings, excavations, bridges, railways, roads, tunnels, dams, embankments, and slopes. We help owners, infrastructure operators, and construction engineers identify and mitigate risk, optimize designs and methods, and document regulatory compliance. Find a Geotech Near You!